Technology has transformed the business world. Professionals, clients, and customers are able to work globally and encounter more people than ever before. That means that every business is vulnerable to risks and would benefit from having a strong business fraud investigations resource. Small businesses thrive with the capabilities to offer options that are bigger than their operation. And corporations are able to grow larger with the means to reach and serve greater quantities of people in more creative ways. But no matter the size of your company and no matter how much technology has helped you develop a robust infrastructure, technology has also put your enterprise at greater risk for abuse, namely business fraud. Business fraud is nothing new. This kind of thievery and criminal activity is as old as business itself. But with the help of technology, there are far more opportunities for corruption. Business fraud can happen internally, among employees you once trusted. And business fraud can happen externally, from hackers or evildoers who are seeking to make a quick buck, or a competitor who is attempting to throw a wrench into your finely tuned system. But, of course, business fraud is not reserved for technological tampering alone – deception can occur in any number of ways. If you suspect business fraud, there is no need to wait for greater evidence of wrongdoing. To secure your livelihood and that of all your employees, it’s essential to begin a business fraud investigation immediately. If your suspicions end up being nothing, then you have put your mind at ease. If your suspicions are confirmed, then you have saved yourself from even greater trauma than the business fraud has no doubt already spawned. Business fraud can happen slowly over a period of time, trickling through your organization without your immediate knowledge, or it can happen in one quick blast before you have the chance to defend yourself or do anything about it. The difficulty often comes in proving the fraud, in detecting its trail and, ultimately, identifying where the fraud originated. Aligning yourself with a private business fraud investigation team gives you room to be stressed out about this very serious issue without having your feelings and emotions impede the investigation. Professional investigators are equipped with the tools, knowledge, and experience to approach a highly charged and potentially very costly situation with a level head and a solid game plan. Because fraud is far from a game: The typical organization loses 5 percent of its annual revenue to fraud, 80 percent of which is derived from employees or other individuals aligned with your organization. 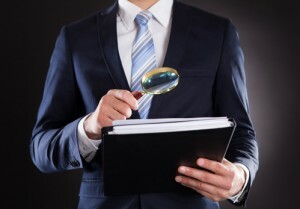 Outsourcing your business fraud investigation is also critical for legal reasons. Inevitably, your company or you individually could be at the mercy of a financial battering because of business fraud – and the severity of these issues will very likely lead to arrests, charges, and civil or criminal prosecution. The guilty parties may end up being some of your closest friends and colleagues. An impartial third party is necessary, and the trail of crime needs to be carefully and accurately accounted for. A professional business fraud investigator will do the difficult work for you, and take the steps that need to be taken, regardless of who is involved in the matter at hand. When it comes to business assets, money is not the only asset in question. Business assets can include the name of your company, computers, smartphones, copy machines, software, electronic media, business plans, and lists or information about customers, suppliers or distributors. If an employee, contracted employee, or outside party is using the name or property you have cultivated to serve their own purposes, or inappropriately attaching their name to your company to make a profit, this is business asset abuse or business asset misuse. Any business misappropriation is the unauthorized use of your company’s name, likeness, or identity without permission, as well as any trade secrets or proprietary information. An experienced private investigator is prepared to handle the seriousness of business asset abuse or business misappropriation issues, identifying where and how the thievery is occurring, from the unauthorized use of a company vehicle to inventory theft to fake sales or purchases. The misuse of assets doesn’t have to be large to be considered illegal or ultimately be detrimental to your company. Purchase orders prove that an order has been placed, what items and quantities should be within that order. Unfortunately, businesses are being globally defrauded by purchased order fraud and procurement fraud schemes. Criminals trick retailers into believing they are from legitimate – and usually established – businesses and even academic institutions and want to order, for example, large quantities of expensive merchandise. The pool of cyber criminals grows daily, and whether they are seeking pharmaceutical items or flat-screen televisions, the scam typically involves fake websites with domain names that are nearly identical to real businesses or schools. Purchasing account information is gathered through clever techniques, quotes are requested, items are often shipped on good faith or on credit, and merchandise heads to a middle man or directly to the criminal. The defrauded business won’t know until billing time that they have been the victim of a purchase order fraud. But a private investigator can uncover the trail of who has committed this business fraud against your organization. When most people think of “business fraud investigations” bribery does not come to mind. The reality is that someone inside your company could easily be taking cash or gifts in exchange for a discount, supplies, financial kickbacks, or other perks? For some employees, the idea of bribery is merely part of how they do business – and that can kill your company. Research has shown that, while bribery is a major problem for a company’s reputation and bottom line, this crime’s biggest impact is how it negatively affects employee morale, which will affect company performance. Firms that take action by hiring a private investigator to conduct a business fraud investigation for bribery are sending a message to their employees that they have zero tolerance for the inappropriate behavior that is taking place. A professional investigator will uncover the internal corruption that is happening within your company. Money laundering sounds clean but, as business fraud investigations go, it can be one of the filthiest problems to uncover. Bringing in money by illegal gains and making it appear legal is a tricky dance. The people who attempt and succeed at this type of fraud have a finely tuned plan to hide their deception. A private investigator will determine where, when, and how illegitimate funds were introduced into your company’s legitimate financial system. From there, it’s a matter of identifying the various destinations the money was moved to in order to cloak it and create confusion about its source. Then the money is integrated into the existing financial setup through more transactions until the funds appear to have come from a legitimate source and are considered “clean”. Suspect insider trading? Gambling? Unsanctioned kickbacks? Money laundering comes in many shapes, sizes, and methods, and the complexity of these transactions require the experience of a business fraud investigation expert to find out what’s going on and where the problem is originating. Frank Abagnale’s methodology for committing check fraud in the movie Catch Me If You Can seems quaint by today’s standards – taking stickers off of Pan Am model airplanes, affixing them to paychecks, then getting those checks cashed. Today’s digital methods and fraud detection systems make it harder to run a check fraud scheme. But these same technological advancements also make it easier for people to pull off meticulously planned check fraud crimes. Checks are easily manipulated, duplicated, or edited to mimic the real thing. The adept check fraud criminal isn’t above stealing blank checks, canceled checks, or checks written for other services to use for their own purposes. Whether it’s an employee fleecing your customers or an external thief misappropriating funds, a private check fraud investigator will determine where and how this manipulation is taking place, whether through old-fashioned theft, sophisticated graphic design, or phishing and malware techniques. Shell companies are used for money laundering, tax evasion, and all types of business fraud. Though it’s often within big business that shell corporations are found, the reality is that your business doesn’t have to be large to be a victim of a shell company scheme. In most cases, a shell company is used to simply conceal misappropriated funds, or to hide who the real criminals are behind fraud, conspiracy, or other criminal acts. A shell company can be created for a single-use crime. Some shells are created and shelved for later use, using their longevity to bolster their legitimacy if an investigation should come to pass. There are dense layers of deception to a shell company and uncovering these tiers requires the eye of an experienced private business fraud investigator who will unwrap the web that’s been created, find the separate bank accounts being used to launder money, uncover the separate sets of books being used to track bribes or transactions, identify email addresses and smartphone numbers associated with the shell. Most importantly, an investigator will find the nominee directors, addresses, and fake shareholders who might all be involved to make a shell look as legitimate as possible, all while its undercover corruption is taking place. Hackers might look cool on TV and in movies, moving their fingers quickly across a keyboard while numbers and letters fall from their computer screen, allowing them into heretofore forbidden systems. But what hackers commit is computer fraud, and it can take many forms, from distributing unauthorized emails from your company email address to accessing unauthorized network computers filled with personal employee or customer information like credit card numbers and Social Security numbers. And, of course, there is the immoral issuing of computer viruses. Internet fraud may not directly reach into the bowels of your technological systems, but the crime is no less damaging than computer fraud. The internet – whether via websites, email, message boards, or social media – is the criminal’s route to defrauding victims by stealing their personal information, issuing fake security software, or circulating fraudulent solicitations. Computer fraud and internet fraud alike can destroy a company or person of revenue. Sometimes there are signs that your system is being tampered with – whether internally or externally – and a business fraud investigator is attuned to kinks in the armor guards your computer and internet security. A man intends to buy a car and signs a contract to buy a car, only to find out later that the contract he signed – and the money he paid – is for the sale of an ATV instead. Deceiving another person by claiming one thing and writing another thing in a contract is considered contract fraud, but this crime can happen in various ways. And, when contract fraud happens to a business, it can mean certain death unless properly and immediately addressed. Intentionally developing a contract to deceive or confuse the other party can easily happen to small businesses, organizations without in-house or on-call legal counsel, or businesses that make the mistake of trusting the person or company they’re dealing with without truly reading the fine print. This is truly one of the most challenging varieties of business fraud investigations to conduct and requires an expert to do correctly.A private investigator can uncover the facts you need to gather to prove that contract fraud has indeed occurred as a matter of business deception. Credit card fraud – and its sister, identity theft – is one of the biggest and most pervasive business fraud crimes happening today. Whether it’s the theft of an individual’s credit card numbers, the breach of a retailer’s credit card security, or the compromised safety of an online merchant’s website, credit card numbers are stolen regularly and their privileges abused. The burden of a credit breach can be incredibly costly to an organization, who could be lose inventory and be saddled with reimbursing banks or individuals. Merchant account fraud occurs when a seemingly legitimate business establishes a merchant account, charges to stolen credit cards, and then vanishes before the cardholders discover the unauthorized transactions. In this situation, the payment facilitator is liable for the loss and additional fees that come with issuing a charge back to the people who fell victim to the theft. Credit card fraud and merchant account fraud are costly situations to be on the receiving end of, and finding yourself in the middle of this business-killing position creates panic. Before you do anything else, hire an experienced private investigator to begin the search for the criminals behind the fraud that is eating away at your business. Why Hire ASG for Your Business Fraud Investigation? Business fraud is complex, with many cogs making the wheels turn. It takes the knowledge, experience and meticulous attention to detail of a private business fraud investigator to uncover the exact source of the fraud that has transpired within your organization. If you have been the victim of a business fraud matter, or suspect that something untoward is happening within your organization, contact the ASG investigative team to discuss our services. Save your business before fraud ends your business. Contact us today at 888-677-9700 for a confidential consultation.